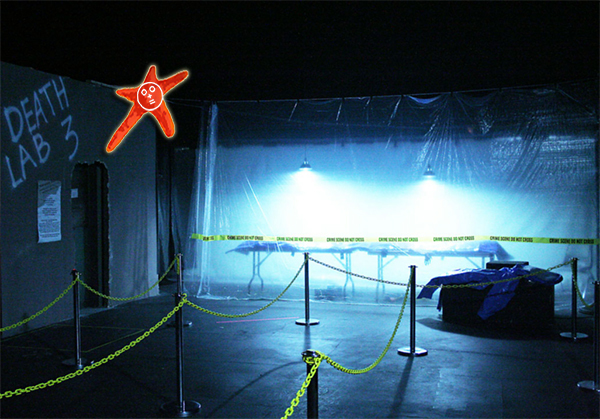 September 25, 2011 - STOP LUNDBECK! 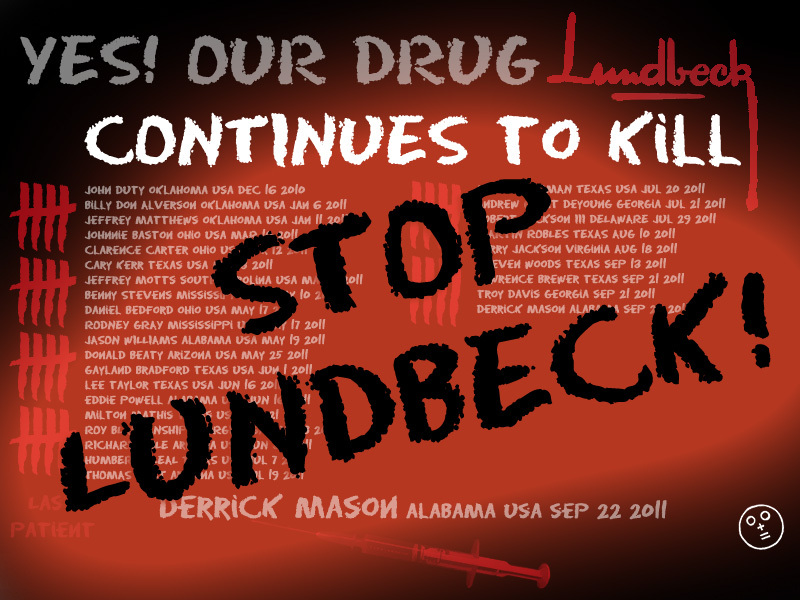 Lundbeck’s Pentobarbital kills its 27th patient in Texas, its 28th patient in Georgia on September 21, 2011 and its 29th patient in Alabama on September 22, 2011. Lundbeck breaks record after record: two dead patients in one night, a 3rd one the day after. Success comes at a price and this week the price is three human lives, two in Texas and one in Georgia, thanks to Lundbeck‘s Pentobarbital. The whole world has heard about Troy Davis in Georgia, but how many heard the names Cleve Foster or Lawrence Brewer lately? Evidently not many and certainly not enough. 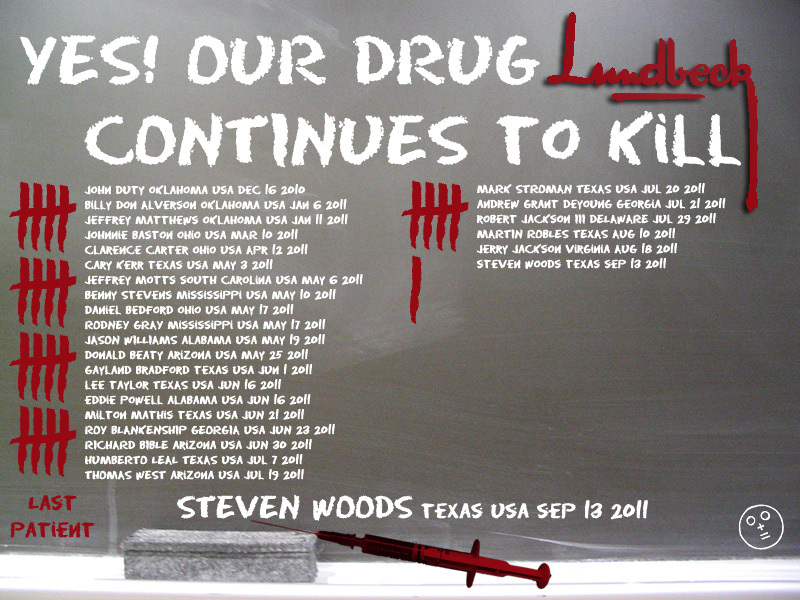 Lundbeck‘s Pentobarbital kills its 26th patient in Texas on September 13, 2011.